Why should you care about Firearms Nation? 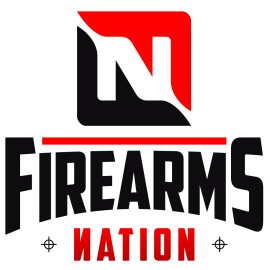 We are a collective of people who share a desire to own, practice, train and defend ourselves with firearms. We share a great responsibility. This blog, videos and podcast will help you understand more about guns, gear and the enjoyment that firearms can bring. Anything associated with firearms is a part of this Nation. The more we understand and share the more we will build a better Nation. I have been a full time law enforcement officer for over 15 years at a major metropolitan department. I’ve spent many years working the street and protecting the innocent. From 2010 through 2016 I was assigned to the Training Division where I served as the lead firearms instructor teaching hundreds of officers how to shoot better with pistols, rifles and shotguns. I’m also a competitive shooter, and competed on Team Sig (SigSauer) from 2014-2016 in action pistol (USPSA). 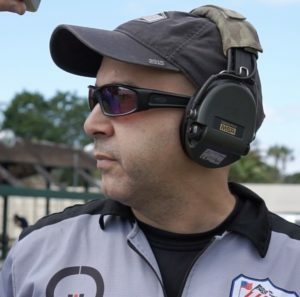 In addition I won the Top Cop Pistol Championship two years in a row and have been a three time gold medalist in the Florida Police and Fire Games. I’ve also trained with the top firearms instructors in the United States including: Bennie Cooley, Larry Vickers, Chris Costa, Travis Haley, Mike Pannone, Frank Proctor, Scott Reitz, Craig Douglas, Greg Hamilton, Ken Hackathorn, Pat McNamara, Ben Stoeger, Bruce Gray, Max Michel, Frank Garcia, Shannon Smith, Steve Anderson, and Jerry Barnhart. I welcome you to this site. I believe we all have a right to defend ourselves and to be safe where ever we are.